When French fur traders arrived in Minnesota in the 17th century, they discovered a densely timbered land dotted with lakes. This beautiful region was home to many Native Americans who were eventually forced to leave in 1862. Minnesota is bordered to the north by Ontario and Manitoba, Canada. It is also bordered by Wisconsin, Iowa, and South Dakota, as well as Lake Superior. 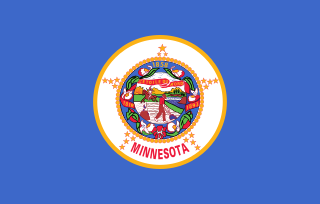 Minnesota is a diverse state, with wooded forests and rolling farmland. Summers are warm and humid; winters are long and cold. Minnesota gets more snowfall than almost any other state in the country. 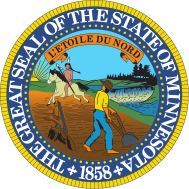 Germans, Scandinavians, and other immigrants settled Minnesota in the late 1800s. Most of these early immigrants were farmers. Farming is still an important part of Minnesota’s economy today. Farms produce corn, soybeans, wheat, hogs, cattle, turkeys, and dairy products. Minnesota is also the leading producer of wild rice. Wild rice, which is not really rice at all, grows in rice lakes. Native peoples call it “manoomim”. Iron ore is mined from the Mesabi Range. The Mayo Clinic, opened in 1889 by Dr. William W. Mayo, is one of the country’s most well-respected medical research and treatment centers. Barges carry goods from the port of Duluth through the St. Lawrence Seaway to the Atlantic Ocean. Question: How was Minnesota named? Watch a video about Minnesota. Declan, Tobin. " All Facts for Kids about Minnesota ." Easy Science for Kids, Apr 2019. Web. 25 Apr 2019. < https://easyscienceforkids.com/minnesota/ >.